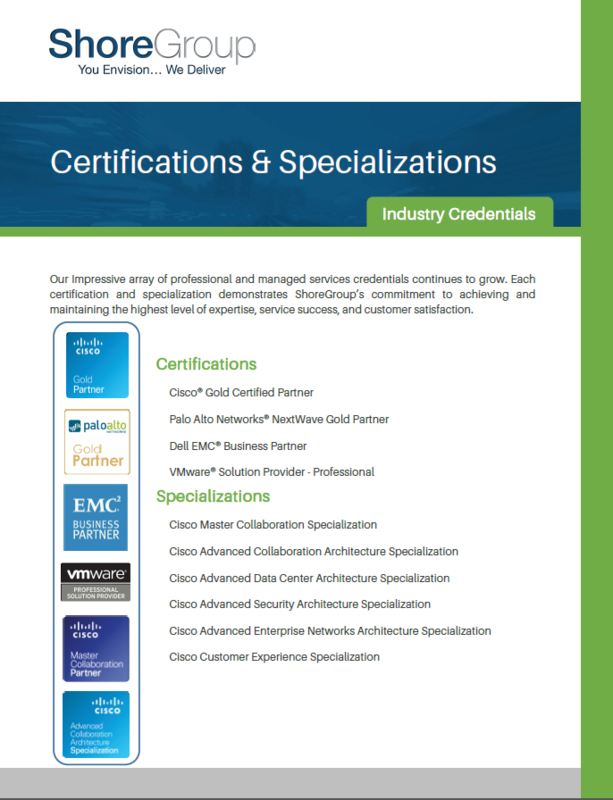 Our impressive array of professional and managed services credentials continues to grow. Each certification and specialization demonstrates ShoreGroup's commitment to achieving and maintaining the highest level of expertise, service success, and customer satisfaction. Download our Certifications & Specializations datasheet to learn more.